Today we have launched our exciting new integration with Hire by Google. This latest update makes it easier than ever for G Suite companies using Hire to bring across the new candidates straight into Appogee HR. To further support the integration from ATS, Hire by Google, into Appogee HR, we have also provided our customers with a brand new onboarding module, making the transition from new hire to active employee quick and easy. 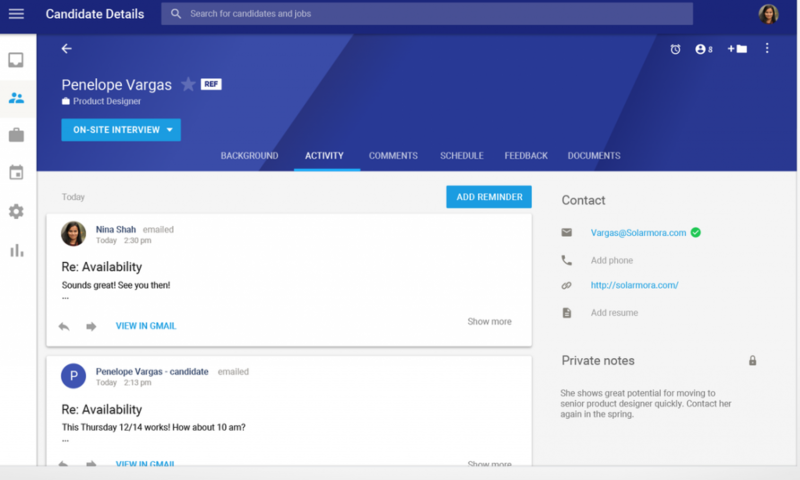 Hire by Google provide businesses using G Suite with a simple, collaborative tool to find the best new employees. From job posting, candidate selection right through to hiring, Hire offers it all in one easy to use cloud solution. Using the Google suite of tools that users are familiar with, it is quick to add a new job post, filter through applications and follow the interview and selection process, whilst collaborating across the hiring team. To find out more information about Hire, please head here. Having worked closely with the Hire team, we have been able to create a seamless integration to provide a simple full HR employee lifecycle from hiring, to onboarding, to the lifetime HR management of the employee. Appogee HR can pull together the key information gained about the new employee and populate the relevant fields. From here the new starter can be added as a joiner with access to the onboarding portal prior to their start date. For more information on the integration benefits, take a look here. The onboarding portal will allow new employees to complete certain tasks and view important information prior to their start date. You can allow joiners to upload important right to work documents such as passports or visas, choose to share key company policies before the new employee starts or get them to provide information such as bank details or emergency contacts, all before their first day. 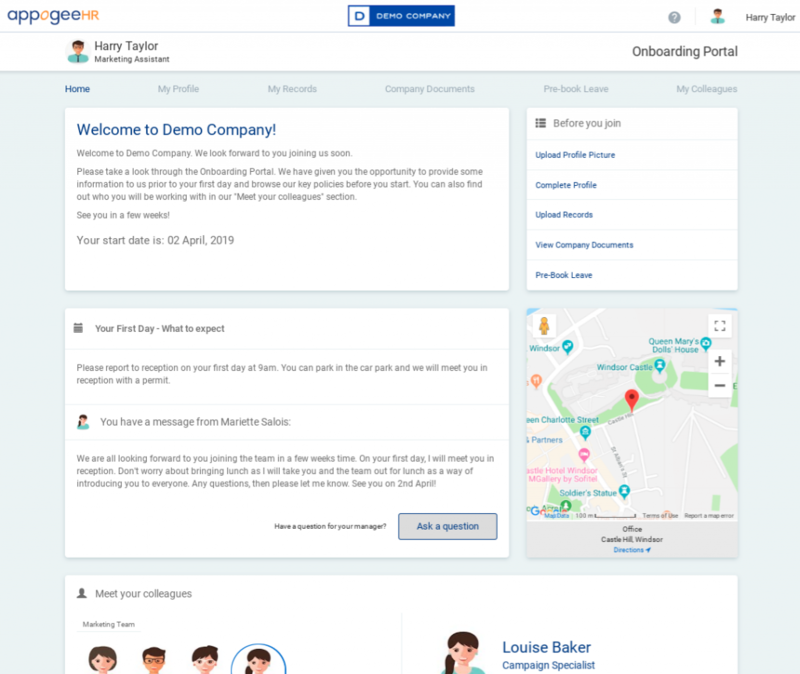 The onboarding portal also provides a section for meeting the team, messages regarding the first day and a maps link as to where the office or first day location will be. The Hire by Google integration, alongside the onboarding portal, have both strengthened the Appogee HR offering, giving our customers a comprehensive solution for the full HR management life cycle. For more information or to get a demo of Appogee HR with the Hire integration please contact sales@appogeehr.com.